Using “Comfort Measures” it is amazing how quickly and easily tooth removal can be accomplished. Tooth extraction may be required for many reasons. Sometimes teeth are poorly positioned in the mouth (such as impacted wisdom teeth) and may need to be extracted for proper bite. Or the tooth may be too badly damaged, or decayed to be saved by root canal therapy. Sometimes the tooth may be loose from advanced periodontal disease (gum disease). Infection from tooth decay or gum disease circulates throughout the body. Extraction of the diseased tooth removes the source of infection and significantly increases your overall feeling of well-being. The roots of each of your teeth are encased in your jawbone. The tooth’s hole in the bone is called a “tooth socket”. 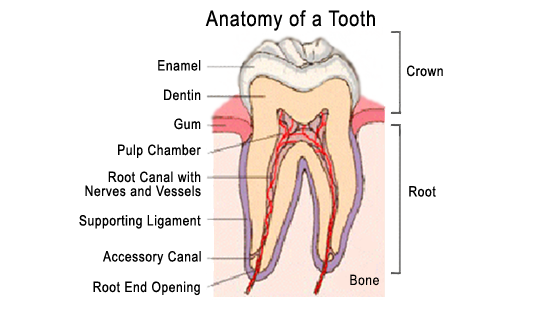 A tooth is held in its socket by a ligament which physically binds the tooth to the bone. To lessen any discomfort during a tooth extraction, the area surrounding the tooth will first be numbed with an injection of “novocaine” or lidocaine. Then Dr. Foutz will enlarge or expand the tooth socket by rocking the tooth back and forth with forceps. After the socket has been expanded enough, the tooth is then separated from the ligament and removed. In most cases, tooth extractions can be comfortably and easily accomplished in the Dr. Barton H. Foutz, DDS offices.